If you love wine, you’ll love these sour beer suggestions. For those of you who haven’t really ventured into the world of delicious beer, I’d like to introduce you to what I call “gateway” beer: sours. Sours are commonly made with wild yeasts and are often products of spontaneous fermentation. 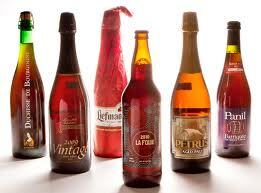 Styles that fall into this pretty broad category include lambic, gueuze and Flanders red ales – mostly Belgian styles. The brewing process is tricky but when done right it can result in an ale as complex as many wines. Keep in mind, the name rings true; sours are tart but they’re also really good.